Transdev Canada announces the acquisition of Voyago, a mobility operator specialized in passenger transport, a family-business based in Ontario, Canada. The two partners have agreed not to disclose the amount of the transaction, which was completed on Monday, April 8, 2019. Now, with Voyago, Transdev Canada represents a combined turnover of €126 million, an increase of 54% compared to its 2018 activity, which employs 2,600 people in Canada (Quebec, Ontario) and completes some 36 million annual passenger trips. In 2018, Transdev generated revenues of €1.2 billion in North America, of which more than €1 billion was in the United States of America. 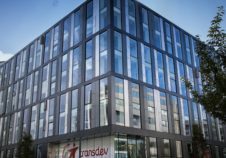 This acquisition is part of Transdev group's strategy to refocus on the Business to Government (B2G) market - which already accounts for more than 89% of its €6.9 billion 2018 turnover - and the B2B market. Transdev’s activities in Canada – with revenues of €82 million in 2018 – are currently mainly concentrated in Quebec, particularly in the Greater Montreal Area, and in Ontario, in the Toronto Area. Today, Transdev Canada has more than 1,300 women and men working on a daily basis with some 20 municipalities and school boards. Between urban transport, school transport, paratransit and interurban transport, more than 40 million kilometers are covered each year to serve passengers. In addition, Transdev operates LimoCar, an intercity bus service between the cities of Sherbrooke and downtown Montréal. a limousine on-demand service booked via an application, with Voyago Public – Checker Limousines. 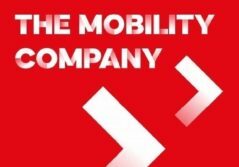 I am delighted with this transaction, which allows Transdev to accelerate its development in Canada and to continue to deploy its innovations for tomorrow's mobility, in order to become the integrator of all daily mobilities. 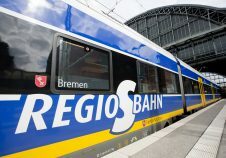 We will share best practices and cultivate talent from both companies, Transdev and Voyago, to strengthen our offers and solutions for clients and passengers. Our teams will integrate and will be the actors shaping new pages of history for these two growing companies. We have carried millions of passengers, and now we have the opportunity to join the Transdev Group to continue to develop our activities in Canada together. We are confident that this union is a win-win situation for customers and employees. We are ensuring that the company my parents founded will grow, prosper and even better serve our clients. We are very excited to be moving forward together. The new Transdev Canada group has ambitious plans to expand in Canada, and will continue to act for the benefit of its clients and customers by taking advantage of the opportunities unfolding in today’s mobility environment. Transdev is proud to integrate Voyago’s many strengths into the suite of services, expertise and technology it offers to clients. Driven by a similar strategic vision, the two companies are combining their complementary strengths, business lines, geographic presence, and capabilities to expand the range of solutions and expertise they can deliver to clients and passengers. At the core of this union are shared core values: trust, safety of passengers and employees, performance, innovation and the quality of the passenger experience. As they combine forces, both companies intend to work with a partner-like approach, where each shares with the other its best tools, practices and methods.